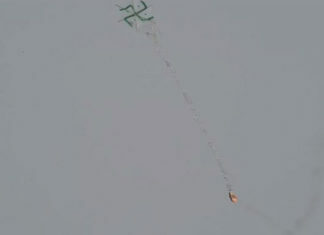 (March 14, 2019 / JNS) Thursday night’s twin rocket attack on greater Tel Aviv from the Gaza Strip marks a dramatic escalation of the security situation that could prove to be highly costly for Hamas. 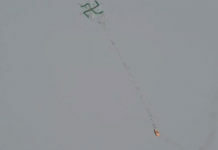 While it remains unclear at the time of this writing which terrorist organization is responsible for the rockets, the attack represent a break from the past months of controlled escalation, a policy led by Hamas leader Yahya Sinwar. The symbolism involved in firing on Israel’s largest metropolis and economic hub, causing many Israelis to hear air raid sirens and seek cover, and disrupting the routine in Tel Aviv, is a direct challenge to Israeli deterrence, which will likely spark a significant military retaliation by Israel. Up to now, Hamas sought to use a limited degree of violence to pressure Israel into allowing more funds and goods into the Strip, to avoid an economic meltdown that could lead to an internal rebellion in Gaza. Hamas fears that such an implosion would jeopardize the existence and legitimacy of its hardline Islamist regime. 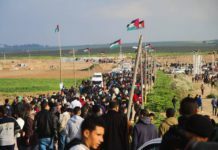 In what may or may not be a related event, earlier on Thursday hundreds of Gazan civilians did something remarkable and highly unusual, by holding a demonstration on the streets of Gaza to protest the impossible economic situation in Gaza. This was a protest directed against Hamas, and it was repressed by Hamas police. The images of Hamas police beating protesters is just the kind of thing that Sinwar is desperate to avoid, as it contradicts Hamas’s entire image as the spearhead of the Palestinian struggle against Israel, instead positioning Hamas as the oppressor of Palestinians. 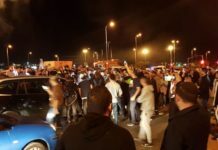 Hours after those scenes emerged from Gaza, media reports cited Gazan sources as speculating that Hamas may spark a new conflict with Israel to divert the pressure away from itself, and nip the protests in the bud. 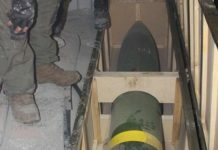 But another possibility is that the second largest terror faction in Gaza, Palestinian Islamic Jihad, is behind the rockets. PIJ is much like a man holding a grenade at a gas station—a reckless actor that is prepared to take extreme measures to challenge Hamas when it feels that Gaza’s regime is going in the wrong direction. PIJ, which has some 10,000 operatives and its own arsenal of ballistic rockets, is a direct Iranian proxy. It takes its orders from its overseas leader, the recently appointed Ziad Nakhleh, who resides in the organization’s Damascus headquarters, and is extremely close to Tehran. With Egyptian-led talks between Hamas and Israel over a long-term arrangement for Gaza reportedly making some progress, Iran and PIJ may have decided that the time has come to sabotage them, and light a match in a gas-filled room. In recent days, Qatar injected an additional $5.5 million into Gaza, and in January, it transferred $15 million, with much of that money reportedly going to needy families, taking some pressure of Hamas. Egyptian mediators were in Gaza at the time of the rocket attack on Thursday, seeking to promote more moves to stabilize Gaza. PIJ may have decided to throw a spanner in the works. Yet another option is that a smaller Gazan faction decided to challenge Hamas by firing on Tel Aviv. The fact that Gaza is filled with smaller terror factions, some of them hostile to Hamas, makes the situation even more complex. 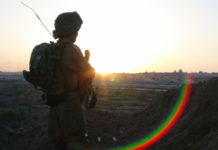 What is beyond doubt is that the pattern of recent months, involving Hamas-orchestrated low-level violence, has taken a radical and sudden new direction. According to former National Security Adviser, Maj. Gen. (ret.) Yaakov Amidror, Israel will certainly be looking to figure out who conducted the attack, but even if it does not find out for sure, it will respond strongly. He added that the big majority of political forces in the Knesset will stand behind him when it comes to punishing Gaza’s terrorist factions. “There is no real argument among the Jewish parties about the need to react,” he said. 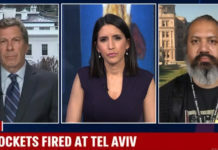 Israel’s first priority, he said, is to figure out who fired the rockets because that organization should be on the receiving end of most of Israel’s targeting. “I think what is important is not to react from emotional side but from logical side. We have to calm down, learn the event, see who is responsible and then react based on conclusions and not do something that will ignite the whole area and that is not in our interests,” stated Amidror. The incident forms the first test for the new IDF Chief of Staff, Lt. Gen. Aviv Kochavi, who has already prioritized war readiness in the south, held drills and reportedly ordered the IDF Southern Command to refresh its battle plans. In addition, earlier this week, the IDF’s Military Intelligence Directorate opened a new Targeting Center at the Glilot base north of Tel Aviv on the instructions of Kochavi. The center will be the focus point of all units that need to know about enemy targets, during routine times and emergencies. This suggests that Kochavi will not be shocked by the rockets, and that he has already concluded long before the attack that Gaza is the most likely arena to escalate in the short-term future.